If you live in South Australia and want to install a home battery, the new South Australian Home Battery Scheme can give you a financial helping hand. You may be eligible for up to $6000 towards a battery. Now is the time to install a battery and get more value from your solar panels. Scroll down to inquire online now! The Home Battery Scheme gives 40,000 households access to $100 million in subsidies, plus an additional $100 million in loans. The scheme is part of a growing movement, along with the Victorian Solar Homes program, that sees state and territory governments subsidising rooftop solar and home battery systems. The sonnen home battery is one of those available in the SA Home Battery Scheme. The scheme is open to all South Australians, and it doesn’t matter if you live in Adelaide or Innamincka. However, Energy Concession Holders will be able to access a higher subsidy. Battery size is measured in kilowatt hours (kWh). Every home has different energy needs, and the Home Battery Scheme subsidy is calculated on the size of the battery installed. As an example, the popular Tesla Powerwall 2 battery can store 13.5 kWh of energy. This means that technically a Powerwall 2 should get a $6,750 subsidy for a non-concessional household ($500 x 13.5 kWh). However, the government caps the subsidy at $6,000 regardless of the size of the battery. In addition, the subsidy levels and cap are expected to reduce over time as competition in the market increases and home battery system costs go down. While the subsidy is for batteries only, households will be able to apply for finance. This will be made available through the Commonwealth Government’s Clean Energy Finance Corporation (CEFC) to purchase new or additional solar panels as well as the battery system. The CEFC is committing up to $100 million to finance loans where the upfront costs of the home battery system installations are not met by the South Australia government subsidies. The CEFC will deliver the loans through RateSetter. According to the South Australian government, the scheme will directly reduce electricity costs for the 40,000 households that purchase a home battery system. In addition, the installation of these systems will reduce demand on the network, especially at peak periods. This will then lower prices for all South Australians. With a battery, householders can store solar power to use when they desire. This means less dependence on grid power. Some batteries can also protects against blackouts, which can be a big concern for some people. The home battery could replace the generator in areas with unreliable grid power, such as remote districts away from major metropolitan areas such as Adelaide. Energy Matter offers three brands of batteries: the Tesla Powerwall 2, sonnen batteries and Enphase batteries. Installation of an Enphase battery. The Powerwall 2 comes in one size only (13.5 kWh) but the other two are modular. This means people with low electricity needs can buy a smaller size. Sonnen comes in 2 kWh modules with 4 kWh being the smallest. They can combine to up to 16 kWh. Enphase batteries come in 1.2 kWh modules and you can have just one or multiple. Some people might only use only 3 or 4 kWh of electricity per day. As a result, the best battery solution could be two Enphase batteries or a sonnen battery. Working together with the CEFC and RateSetter gives the South Australian Home Battery Scheme added impact. That’s because if the state government subsidy doesn’t cover the cost completely, the CEFC green loan will help make up the balance. CEFC CEO Ian Learmonth said the organisation is delighted to work with RateSetter and the South Australian Government’s Department for Energy and Mining to deliver the benefits of solar and battery storage to householders. “It makes good economic and environmental sense for home owners to capture even more benefits from their rooftop solar PV with the addition of home battery storage,” he said. “This investment has the twin benefits of cutting household energy costs, as well as reducing their carbon emissions. 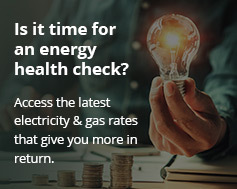 To see how you benefit from the South Australian Home Battery Scheme, get in touch on 133 786, or complete the form below.